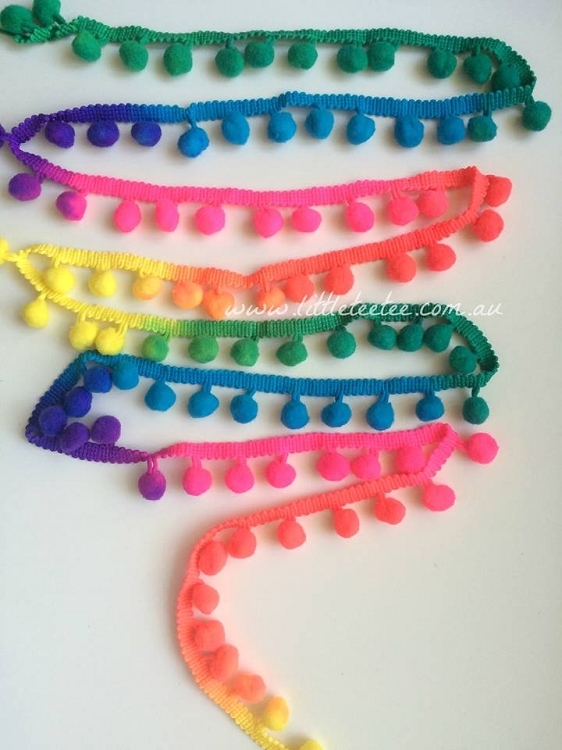 Fun & funky pom pom trimming perfect for your crafting endeavours! This trim is perfect for crafts which do not require washing. Use it on your home décor - cushions, bags, dolls. Copyright www.littleteetee.com.au. All Rights Reserved. eCommerce Software by 3dcart.